Often, students and parents at places like Alpine Valley School are concerned that kids will not know how to function in the “real world” without participating in classroom learning. 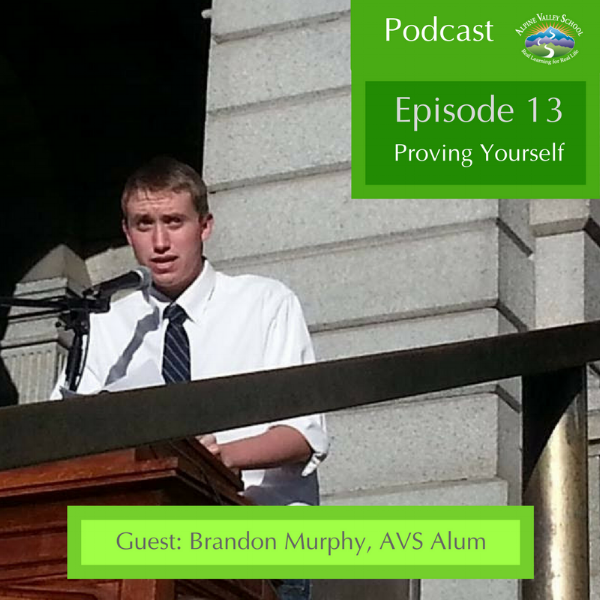 AVS graduate and salesman Brandon Murphy was one of those students, and so he took a year off from AVS and transferred to a traditional public high school. He wanted to prove to himself that he could come up to speed with mainstream students and successfully complete the required coursework. As he shares with host Missa Gallivan, not only did Brandon meet the standards of public high school, he excelled. He also learned that the monotony of traditional schooling was not for him, and returned to AVS to earn his diploma. Hear all about how he transitioned from democratic education to public school, and back again, on this episode of the Alpine Valley School podcast!